2. 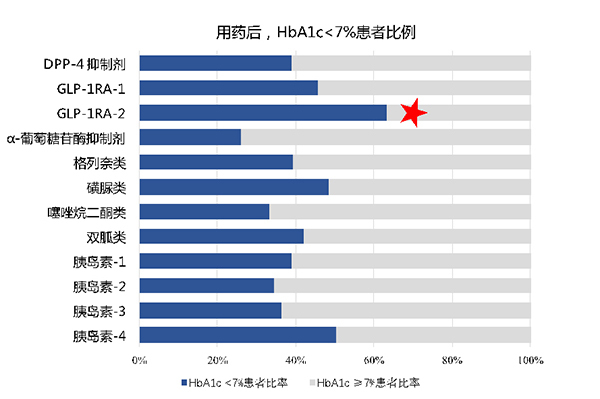 Esposito K, Chiodini P, Bellastella G. Proportion of patients at HbA1c target <7% with eight classes of antidiabetic drugs in type 2 diabetes: systematic review of 218 randomized controlled trials with 78 945 patients - National Library of Medicine - PubMed Health[J]. Diabetes, Obesity and Metabolism. 2012, 14: 228-233. 3. Jia X, Alam M, Ye Y et al. 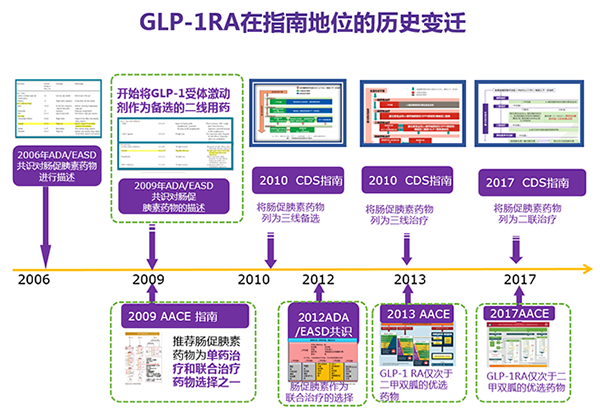 GLP-1 Receptor Agonists and Cardiovascular Disease: a Meta-Analysis of Recent Cardiac Outcome Trials. Cardiovascular Drugs and Therapy. 2018, Feb.
Raalte D H, Muskiet M H. Liraglutide and Renal Outcomes in Type 2 Diabetes. The new england journal of medicine. 2017, 117: 1348-57. 5. Zaccardi F, Htike Z Z, Webb D R, et al. 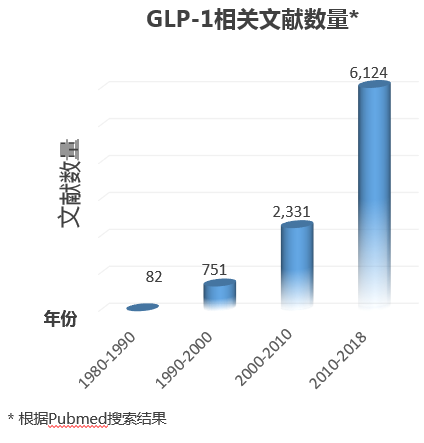 Benefits and Harms of Once-Weekly Glucagon-like Peptide-1 Receptor Agonist Treatments: A Systematic Review and Network Meta-analysis.[J]. Annals of Internal Medicine, 2016, 164(2):102-113. 6. Marso S P, Bain S C, Consoli A, et al. 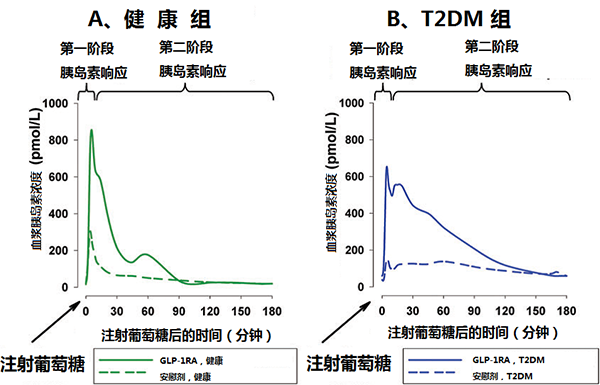 Semaglutide and Cardiovascular Outcomes in Patients with Type 2 Diabetes.[J]. N Engl J Med, 2016, 375(19): 1834-1844. 7. Højberg P V, Zander M, Vilsbøll T et al. 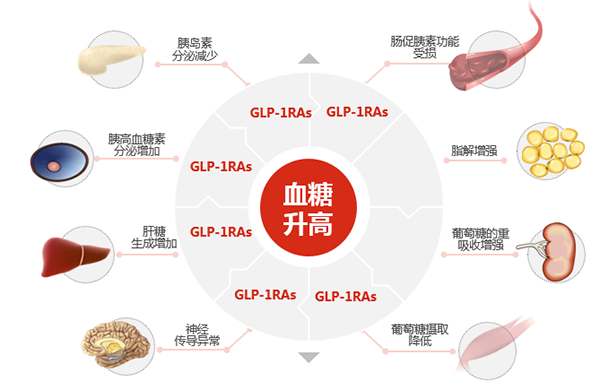 Near normalisation of blood glucose improves the potentiating effect of GLP-1 on glucose-induced insulin secretion in patients with type 2 diabetes[J]. Diabetologia, 2008, 51(4):632-640.